Latest developments in California respecting claims for recovery of artworks stolen by the Nazis in World War II: legislation that would ease the ligitation of looted-art-recovery claims awaits decision by California governor, and an en banc panel of the U.S. Court of Appeals for the Ninth Circuit has issued an interlocutory ruling in favor of one such claim. Some history is in order to understand the significance of A.B. 2765, the bill that California legislators approved at the end of last month. ► In 2009, in von Saher v. Norton Simon Museum of Art at Pasadena, a 3-member panel of the U.S. Court of Appeals for the Ninth Circuit struck down § 354.3 of the California Code of Civil Procedure. That law had attempted to extend, to December 31, 2010, the statute of limitations applicable to claims seeking restitution of Nazi-looted art against museums and galleries. But the Ninth Circuit held that the state statute was preempted under the foreign affairs doctrine. 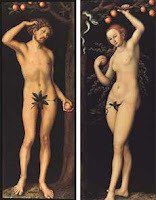 The von Saher case involves Adam and Eve (right), a circa-1530 diptych painted by Lucas Cranach the Elder, which had undeniably been stolen from one of the most prominent art dealers in Europe, Jacques Goudstikker, whose Amsterdam gallery was aryanized after he fled for his life (and who died in an accident on the fleeing ship). The Dutch government seems to have mistakenly returned the paintings to the wrong family after the war, and the paintings were later sold by an art dealer to the museum. 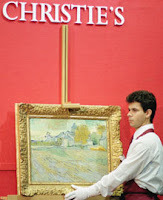 Under the American common law of property, an axiomatic rule is that title to stolen art does not pass except in limited circumstances involving bailments – although limitations periods could bar a claim. A petition for certiorari is set to be considered by the U.S. Supreme Court at its conference on September 27. A number of courts across the country recently have been interpreting constructive notice standards in ways that do not account for the inability of Holocaust survivors and their heirs to truly discover until now their ability to reclaim artwork stolen or sold under duress or in a forced sale. The Supreme Court declined the petition for certiorari filed in this case. ► Double the length of time allowed between actual discovery and commencement of the cause of action, from three to six years. The law would apply to all new and pending causes of action commenced on or before December 31, 2017. It also would include actions that were dismissed based on the expiration of the statute of limitations in effect prior to the date of enactment. Although the new standard would apply only to art in museums and galleries in California, it could pave the way for more state-level reform. While this statewide legislation was pending, an en banc panel of the San Francisco-based federal appellate court issued a ruling that permitted another recovery suit to go forward. In Cassirer v. Kingdom of Spain, decided in mid-August, the en banc Ninth Circuit panel held 9-2 that Spain and its instrumentality, the Madrid-based Thyssen-Bornemisza Collection Foundation, are subject to U.S. jurisdiction under the expropriation exception of the Foreign Sovereign Immunities Act – even though it was the Nazis, not Spain, that engaged in the expropriation. The court in Cassirer held that the plain language of 28 U.S.C. § 1605(a)(3), which states only that the property be “taken in violation of international law,” has no requirement as to who must actually engage in the taking. The court then found that the Foundation is engaged in sufficient commercial activity in the United States – advertising for tourism – to fall under the commercial activity exception in this section of the FSIA. In light of the limited jurisdiction it possessed on interlocutory appeal, the Ninth Circuit in Cassirer declined to engage in an extensive review of defense arguments that the plaintiff was required to exhaust local remedies for jurisdiction to lie in the United States. It also declined to review the lower court’s denial of the motion to dismiss on grounds related to personal jurisdiction and the case-or-controversy requirement. In 1939 Lilly decided she had no choice but to leave Germany. By that time – as the district court judicially noticed – German Jews had been deprived of their civil rights, including their German citizenship; their property was being “Aryanized”; and the Kristallnacht pogroms had taken place throughout the country. Permission was required both to leave and to take belongings. 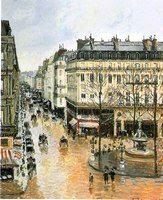 The Nazi government appointed Munich art dealer Jakob Scheidwimmer as the official appraiser to evaluate the works of art, including the Pissarro painting, that Lilly wished to take with her. Scheidwimmer refused to allow her to take the painting out of Germany and demanded that she hand it over to him for approximately $360. Fearing she would not otherwise be allowed to go, and knowing she would not actually get the money because the funds would be paid into a blocked account, Lilly complied. Schweidwimmer traded the painting to another art dealer, who was also persecuted and fled Germany for Holland. After Germany invaded Holland, the Gestapo confiscated the painting and returned it to Germany, where it was sold at auction to an anonymous purchaser in 1943. It turned up at a New York gallery in 1952 and was sold to a St. Louis collector; it was sold again in 1976 to a New York art dealer who, in turn, sold it to Baron Hans-Heinrich Thyssen-Bornemisza. Bornemisza lived in Switzerland and was a preeminent private collector. A petition for certiorari almost certainly will be filed with the Supreme Court.